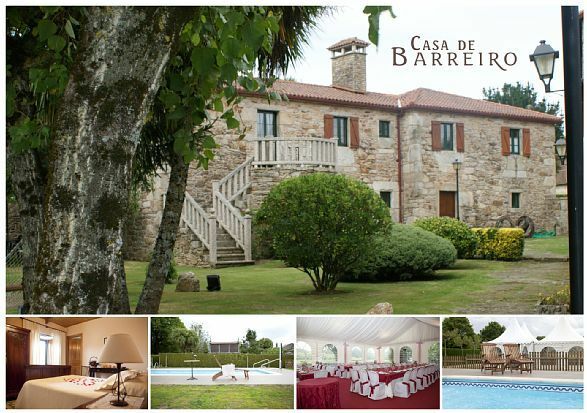 Located in the geographical center of Galicia, the house is an old farmhouse built in the mid-nineteenth century. It retains its old charm and has been the object of a laborious restoration work that gives the visitor the beauty of what is well done for a complete disgrute of leisure time. The stone, wood and tile of the country, along with furniture and details of the construction period give the house that air that is time, constancy and simplicity, to rest, etc. - The house has four double bedrooms with bathroom, one of them has a stone balcony and stairs in the same material with direct access to the garden. - It has a large car park, a farm of 11. 500 square meters, a hórreo and chestnut trees that give leafiness to a always relaxing green area usable by the visitor in any circumstance.